We can offer a welcome service for anyone whi would like to make a tour in our vineyards and discover old houses and new tastes. Our winery is a beautiful and elegant structure surrounded by a lot of our vineyards. 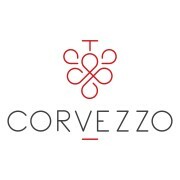 In our website www.corvezzo.it you can access to the winetour section and book a guided tour. We can offer one day a week for the Expo 2015 guests that stay close to our winery and that are interested in tasting typical wine of our territory.